My wife and I took our kids to New Jersey for an extended Thanksgiving holiday. One of my favorite aspects of travelling is discovering the local beer. The day after we arrived, I made a visit to Stew Leonard’s. Primarily a wine shop, they also offer a great craft beer selection. The object of my desire was a winter seasonal variety pack. Fortunately, they had offerings from two breweries—Magic Hat and Saranac. I’ve had a few Magic Hats in the past and have enjoyed them. 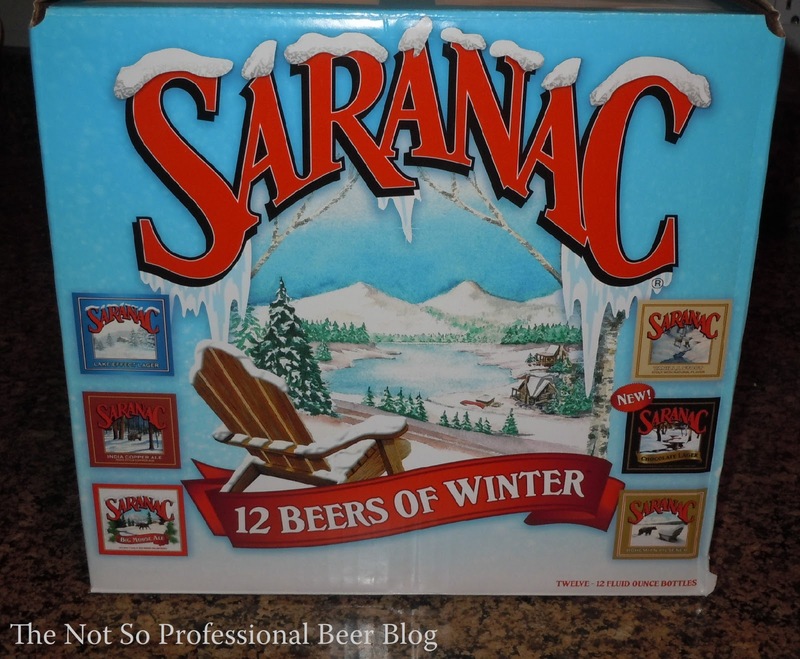 Although I'd never tasted anything from Saranac, I decided to roll the dice and go with them because they included more varieties (6 vs. 4 from Magic Hat) in their box. Lake Effect Lager: “Our Saranac Lake Effect Lager is a rich, malty, old school German lager, made with traditional German malts and hops and fermented with a lager yeast. Look for a rich but smooth malty taste, balanced by an impressive Hallertau hopping-A nice reward for enduring our winter months.” A solid German-style lager with bready malt and nice dose of spicy hops. Crisp and refreshing, a very easy drinker. While I’m not big fan of this lager style, in general, I liked this one. Bohemian Pilsner: “Saranac Bohemian Pilsener is a medium bodied Pilsener crafted like the original Pilseners of Czechoslovakia. Brewed with the finest Pilsener malt and Saaz hops, you will find this beer has a crisp, clean taste and leaves you wanting another. Enjoy!” Bready malt and grassy hops. While I tend to prefer Czech pilsners over their German cousins, I wasn't crazy about this one. Chocolate Lager: “Saranac Chocolate Lager is a sinfully delicious deep amber lager made with certified organic cacao from Belize. We used the roasted seeds of these decadent plants and perfectly paired them with caramel malt and German Hallertau hops to create a malty chocolate sweet flavor. You'll love savoring this beer with your favorite holiday foods or on its own for a delicious treat!” Newly introduced in 2011. This has a very nice bitter dark chocolate flavor that's layered over a toasted malt base. My favorite in the pack! India Copper Ale: “Taking an India Ale to the next level, Saranac India Copper Ale has the malt backbone to carry the hoppiness you expect in an India Ale. Carefully selected malts from North America and Europe are decoction mashed to highlight their character and the brew is complimented with generous amounts of citrusy Columbus, Cascade and Centennial hops. Cheers!” Grapefruit hop flavor against a caramel malt base, but not as hoppy as the description implies. It seemed more like a hoppy Amber Ale in my opinion. I liked it though. Vanilla Stout: “Few ingredients rival vanilla's ability to add richness and roundness to food. Blended with a traditional blend of caramel and chocolate malts plus roasted barley, the result in Saranac Vanilla Stout will surpass your expectations. Enjoy the brew on its own or with a bite of dark chocolate for a real treat.” I was most looking forward to tasting this, but ended up liking it the least. The vanilla flavor was overdone and tasted extract-y. It also had a very unpleasant bitterness in the finish. I’d pass on this one. Big Moose Ale: “Saranac Big Moose Ale is an American Pale Ale with a kick. The medium-bodied malt sweetness is balanced by a nice crisp bitterness from hand selected centennial and cascade hops. Look for a vibrant citrusy hop aroma that will leave you craving another swig!” Aroma and flavor of citrus hops, with a mild lingering bitterness. It was a bit light in body, but nice. 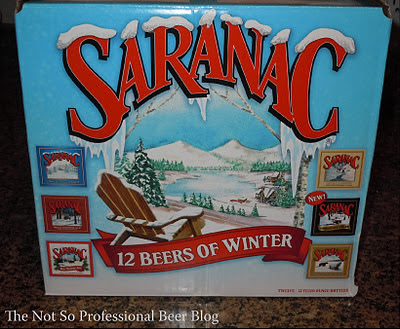 Overall, I enjoyed Saranac’s 12 Beers of Winter and was glad to have opportunity to taste a range of beers from a brewery that's new to me. Long live the variety pack! 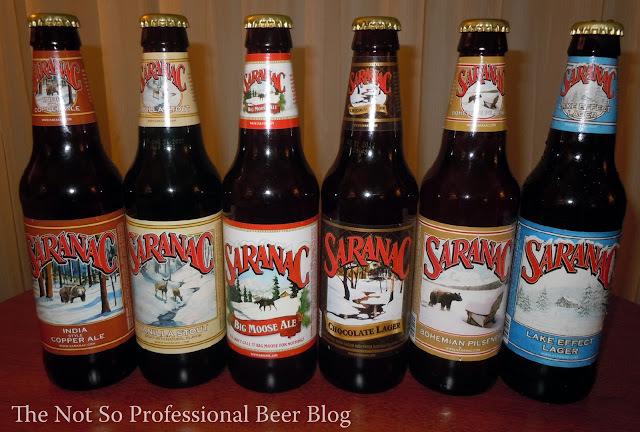 What’s your favorite Saranac beer? Do you like variety packs? Which brewery has the best one?